Once upon a time in the year 2000, Maxis and EA worked hand-in-hand to give the world the game that birthed momentary god-complex upon mankind. Behold, The Sims (with installments 2, 3, and 4). If you’ve played the game since its first release, then I’m sure you are more than familiar with The Sims’ gaming mechanics and how it lets you play as the god of your Sims’ world. The game lets you create your own Sim, from the teeniest details in the face to your Sims’ personality traits. In addition, the game is also famous for house-building; where players can create their own houses or establishments on empty lots. And once you’ve started playing, your Sims will live up to their labels and simulate real life in the game’s world that they move around in. In its eighteen years of existence, The Sims has created various breeds of Sims players. And while we can all agree that there are definitely more than a measly five types, we’ll only tackle five because there are just too many to detail in one article. As their name suggests, these are the players who prefer to play with their Sims in a very realistic manner. They play the game as it is, with their Sims living in starter homes and only having 18,000 to 22,000 simoleons in their Sims’ pockets. Their Sims go to work and start from the lowest job placements available. They follow a reality-driven mundane day to day schedule too. So in other words, a Realist’s Sims’ schedule would relatively look like this: Wake up. Eat breakfast. Shower. Go to work. Return home from the nine to five job. Eat dinner. Entertain the Sim. Sleep. Repeat. They keep this up until their Sims move up in the world. As a result, their typical day-to-day Sims activities are a bit boring. It can get old real fast. But who are we to judge, right? If that’s how they enjoy their Sims game, then let’s leave them be. They never type cheats into the cheat command box. Their Sims never teleport from place to place. And on this note, let’s move on to the second type of player that everybody is sort of guilty for being. To be fair, every person who’s ever played the Sims cheat more often than not. It’s like the second main thing that The Sims is most popular for. Cheats are part of the gaming experience when it comes to The Sims. But there are just some players who cheat more excessively than the normal amount necessary. As soon as they boot up the game, they instantly hit Ctrl+Shift+C to summon the cheats box and type in that sweet sweet testingcheats true command. And when the cheats are finally enabled, some of them type in motherlode when playing with a new household to generate 50,000 simoleons into their Sims’ household funds at once. Doing this excessively can let your Sims accumulate money of up to 9,999,999 simoleons. Kind of insane, ain’t it? On the other hand, if they have been playing with a particular household for a long time now, they type in cas.fulleditmode and with a single shift+click, their Sims just teleport everywhere. Your Sim is in the bedroom and needs to go downstairs to the kitchen? Cheaters hit shift+click, select the teleport here option, and the Sim is instantly in the kitchen. Because stairs are for losers, apparently. But if there is one thing that the Cheater and the Realist both have in common, it’s that they participate in The Sims gameplay actively. They let their Sims roam around the world. They let them live their computer-generated lives. They allow them to form relationships with other Sims. It’s quite the contrary from the next two types of Sims Players we’ll be discussing. These players love to create sims. It’s a huge part of the game, yes, but we’re talking an excessive number of Sim creations in their gallery here. These people are obsessed with creating Sims. This actually cultivates an odd kind of creativity, so to say. Skilled Sim creators are adept at imitation, and they are extremely detail-oriented. It’s kind of like painting, except you’re not actually doing it on canvas. Some of them are really skilled to the point of imitating a famous celebrity’s face. Trust me, there are plenty of celebrities in people’s Sims out there. But as much as these players love to create people to populate their game with, most of them don’t actually play the game all that much. They just love the Create-A-Sim tools. And the next one on our list is just as obsessed with creation as the Sim Creator, but in a different area of the game altogether. The builder or the architect is strikingly similar to the Sim Creator. But as mentioned previously, they operate in different aspects of the game. As their name suggests, they specialize in building and of course, designing houses and public lots for their Sims. From sleek contemporary modern houses to charming suburban homes; Victorian mansions, Gothic cathedrals, cute cottages, castles, and palaces. Some of them delve into outrageously crazy builds (underwater houses, whole villages, an entire keep, or a serial killer’s basement), but they work nicely for the game somehow. You name it, The Sims builders can probably do it. Granted, different players specialize in different kinds of builds. Some are awesome at creating public lots like parks, theme parks, bars, restaurants, libraries, spas, and other public hangouts. But it would be safe to say that a large majority love to build houses of varying architectural designs. The sky’s the limit to everybody’s imagination, after all. I don’t care if you’re guilty or not. There are definitely Sims players out there who have an outrageous number of mods in their Mods folder, and it gets to a point where the only word you would use to describe it is absurd. If you like big orange error messages popping out of nowhere while you’re playing your game, and if you’re a fan of bugs, then by all means, you might be a mod hoarder for all you, or anybody else knows. Weirder and weirder things always happen to the ‘Mod Hoarder’s’ Sims. With hundreds and hundreds of mods in the hoarder’s folder, is any of us honestly surprised? It’s absurd in a good way though. This way, you’ll have plenty of memes to share on internet forums. Who knows? Your name might gain fame from all the weird stuff you put your Sims through. As I have mentioned when we began this article, five is a measly number among the numerous breed of players The Sims has managed to create. We have players who are obsessed with populating their Sims’ world with famous celebrities and fictional characters. We also have players who want their Sims’ world dominated by vampires or other supernatural beings. There are also players who love telling stories as they play their Sims games. And of course, there are players who just want to murder and torture their Sims… Because, why not? You’re the god of your Sims’ world. Nevertheless, whichever kind of player you are, the most important thing we all have in common is that we want to have fun. 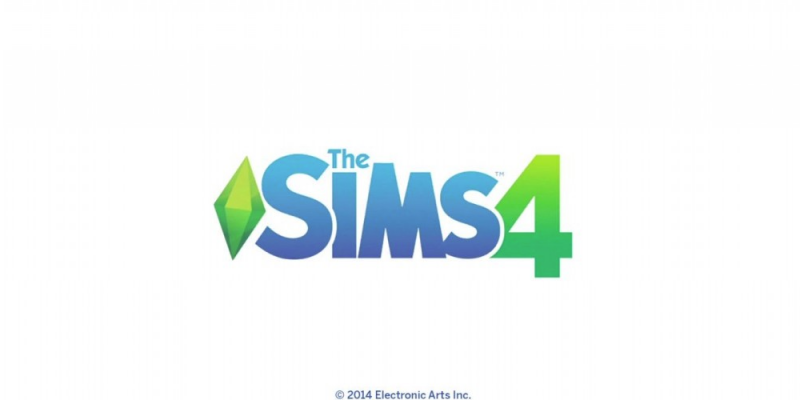 It’s not a newly released game by all standards, Heaven knows The Sims 4 was released back in 2014, but The Sims, through all of its installments, has proved itself as a good game to have in your PC if you want to escape reality even just for a little bit. Want more games and technology related content? Head on over for more content like this. Joni is a passionate writer and a certified geek. She scours the internet rabidly for interesting facts and morbid events in human history. She’s also really into Japanese cartoons, and video games.